[19-03-19 17:15:20] - Garrett Mitchell was released. [19-03-19 17:15:20] - Predators paid 0 $ to release Garrett Mitchell. [11-03-19 20:00:07] - Rostislav Klesla has been selected as captain for Admirals. [11-03-19 20:00:07] - Unknown Player is no longer captain for Admirals. [09-03-19 20:47:15] - TRADE : From Oilers to Predators : Stephen Johns (71). [09-03-19 20:47:15] - TRADE : From Predators to Oilers : Y:8-RND:3-TOR- Y:8-RND:4-STL- Y:8-RND:5-NYI. [21-02-19 20:07:10] - TRADE : From Predators to Blues : Marcus Johansson (81)- Casey Fitzgerald (P)- Y:9-RND:2-TOR. [21-02-19 20:07:10] - TRADE : From Blues to Predators : Ondrej Palat (81)- Y:8-RND:4-EDM- Y:8-RND:4-STL- Y:9-RND:4-STL. [18-02-19 20:41:18] - Mika Zibanejad has been selected as assistant for Predators. [18-02-19 20:41:18] - Dustin Brown is no longer as assistant for Predators. 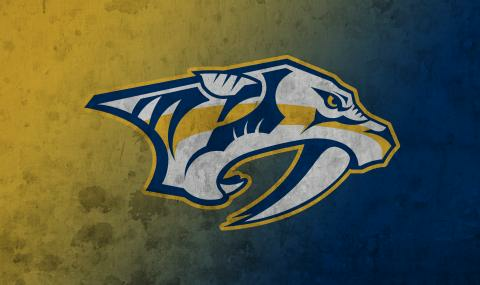 [17-02-19 22:03:08] - TRADE : From Predators to Capitals : Jiri Tlusty (73)- Tyler Seguin (85)- Y:8-RND:2-FLO. [17-02-19 22:03:08] - TRADE : From Capitals to Predators : Marcus Johansson (81)- Shane Prince (77)- Y:8-RND:1-BUF. [02-02-19 20:35:56] - TRADE : From Maple Leafs to Predators : Rostislav Klesla (71). [02-02-19 20:35:56] - TRADE : From Predators to Maple Leafs : Zach Nastasiuk (P). [29-01-19 17:01:41] - TRADE : From Predators to Bruins : Y:8-RND:3-MON. [29-01-19 17:01:41] - TRADE : From Bruins to Predators : Jiri Tlusty (73). [12-01-19 17:54:28] - TRADE : From Predators to Capitals : Lucas Lessio (71)- Y:9-RND:3-NAS. [12-01-19 17:54:28] - TRADE : From Capitals to Predators : Paul Bittner (P)- Y:9-RND:2-PIT. [12-01-19 17:53:45] - TRADE : From Predators to Golden Knights : Brett Ritchie (76). [12-01-19 17:53:45] - TRADE : From Golden Knights to Predators : Miikka Salomaki (72)- Joni Ikonen (P)- Y:8-RND:3-MON. [30-12-18 18:14:35] - Ryan McDonagh was added to Predators. [20-12-18 18:50:25] - Garnet Hathaway was added to Predators.